West Yorkshire Police Federation has hit out at the Government’s “despicable” treatment of police officers as a Judicial Review against the Home Secretary is launched over pay. Chairman Brian Booth said: “There has been a disgraceful treatment of officers in regard to pay and conditions. “The Home Secretary is failing his legal obligation in deferring his decision to Government and it’s quite right that our members are supported by the Federation in this legal challenge. Officers’ pay was increased by just £2.50 a week in July last year. The Police Federation of England and Wales recommended a 3.4% increase so that officers “could be paid fairly for the dangerous job they do after years of austerity”. The Police Remuneration Review Body recommended a total of 3%. 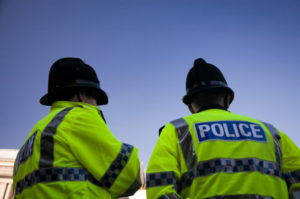 The PFEW took the decision in October 2018 to formally lodge legal proceedings and last week the application was accepted, meaning a hearing is likely to be held in the Summer. Mr Booth said: “Government policy seems to be against frontline police officers. “We have seen evidence recently of officers using food banks – so they are really struggling with the pay they are on. “They do a hard job, it is a difficult environment to work in nowadays with cuts to police numbers, and officers should be paid accordingly. “The Police Remuneration Review Body have recommended a 3% pay rise yet the Government are giving 2%. This should be binding. “By taking the Government to court, we are hoping to ensure that they will actually abide by the laws that they set. “It’s the fair way to go about it. Police officers do not have the same industrial rights as everybody else.